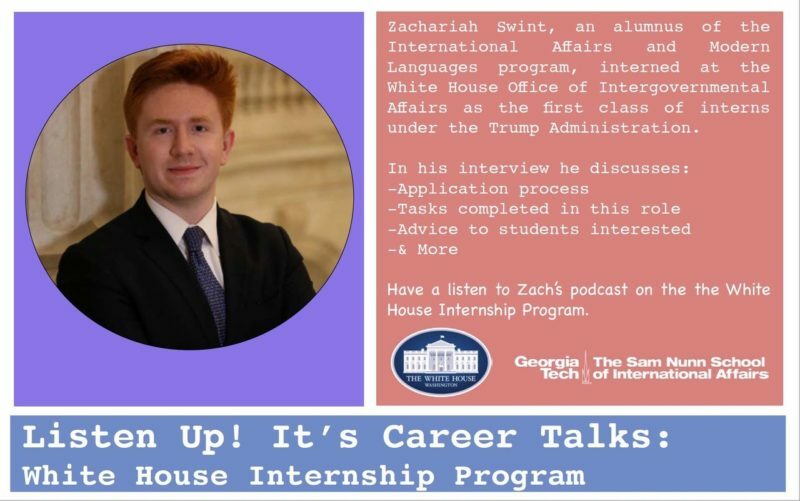 This Career Talks podcast features Zachariah Swint, a recent alumnus of the International Affairs and Modern Language program. Zach interned with the White House Office of Intergovernmental Affairs as part of the first class of interns under the Trump Administration. He discusses the application process, the tasks and responsibilities of his role and offers advice to students that are interested in the White House student programs. Career Talks! Podcast is a new feature, to capture the experiences and share the advice of our students about opportunities they have taken advantage of while a student here in the Nunn School. These podcasts will be developed periodically, and highlighted on our Advising Blog and in the Weekly Digest. 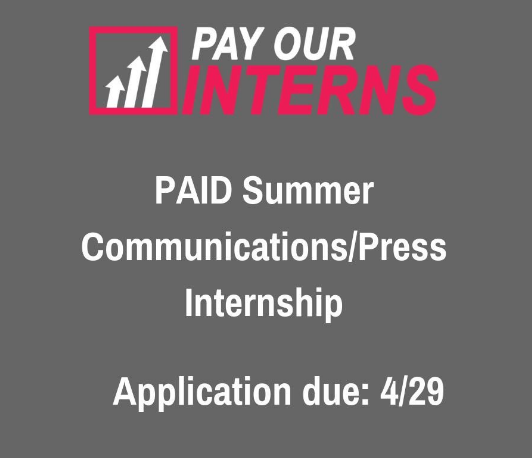 We are looking for students with unique and rewarding internship, leadership, fellowship and overseas experiences to interview. If you’d like to learn more, contact Stephanie Jackson.